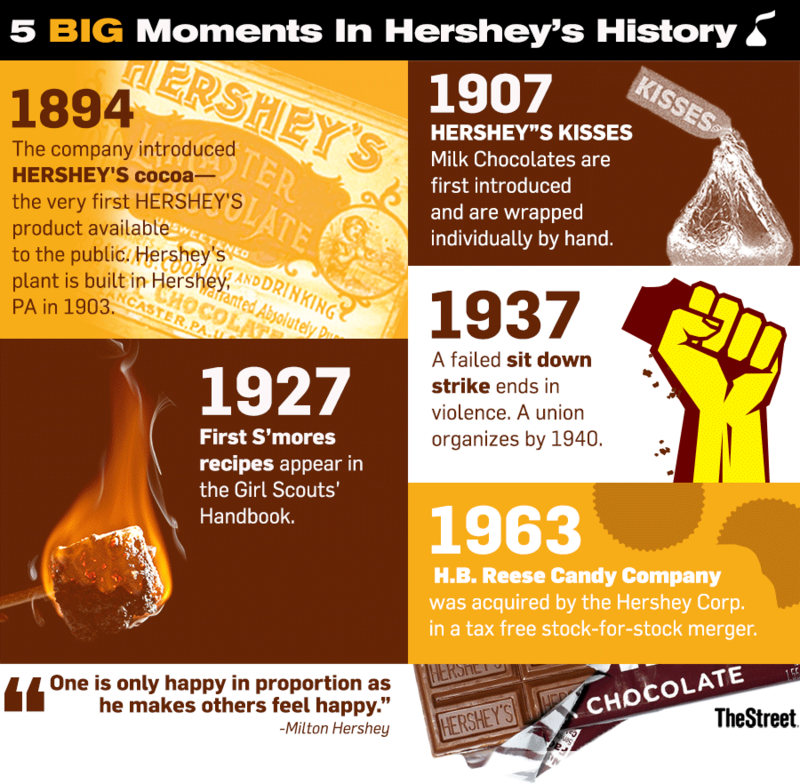 Hershey Co. (HSY - Get Report) has ended the year on one sweet note. The chocolate king said Monday, Dec.18, that it was acquiring Amplify Snack Brands Inc. (BETR in a blockbuster $1.6 billion deal. Hershey's big buy will expand its portfolio further into the snacking aisle with Amplify's popular brands such as SkinnyPop and Tyrells chips brands. 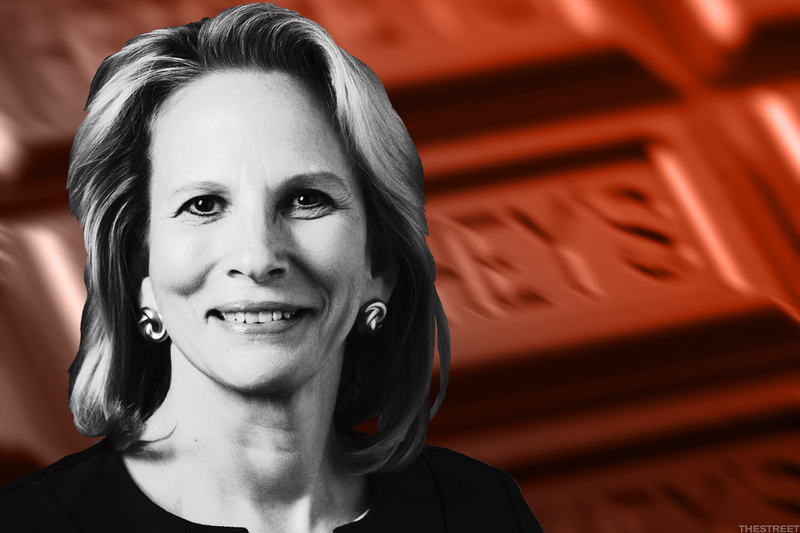 "It's very exciting," Hershey CEO Michele Buck told TheStreet in an interview when asked about the deal. "As I took over on March 1 as CEO, I laid out the vision of innovation around being a snacking powerhouse -- this is a key step in us achieving that vision." TheStreet talked with Buck about the snacks deal she just signed off on. What follows is a condensed and edited version of the conversation. TheStreet: Big day for you on a personal level, no? Buck: It's very exciting. As I took over on March 1 as CEO, I laid out the vision of innovation around being a snacking powerhouse. And then I talked about how we would achieve that via continuing to drive our core confectionary business and also to expand to meet additional incremental consumer snacking needs. We would do that organically and via M&A. So yes, this is a key step in us achieving that vision. TheStreet: I am sure you looked at buying lots of brands. How did you end up deciding on Amplify Snack Brands? Buck: What attracted us were a couple of things. First, we were looking for growth and the ready-to-eat popcorn category has had very strong growth over the last four years. The SkinnyPop brand in particular has also had very strong growth the past four years, about 26% growth. So, we like the growth profile. We like the SkinnyPop brand. If you think about our company, we are masters at driving iconic brands at scale. We were able to drive our core brands this year by a mid-single digits percentage. If you look at SkinnyPop, it is an iconic brand. In fact, it will become our sixth-largest brand. The consumers to the brand are very loyal. We think that gives us a great platform for growth. We also like that the brand is at scale. Starting at scale is a nice advantage. It already has some nice profitability and margins. The financial profile of Amplify fits the profile of Hershey well. TheStreet: What are the synergies here? For example, organic chocolate dipped SkinnyPop? Buck: Of course, there are the normal cost synergies around procurement. Amplify Brands won't need its own corporate structure as a public company. From a revenue synergy perspective, we really look at leveraging the entrepreneurial capabilities of the Amplify Brands team with the scale capabilities that we bring. We are focused on four opportunities. One of our strengths is our go-to market strategy, where we can look to expand distribution. We also have a category management opportunity and product innovation. If you look at the SkinnyPop business right now, its distribution is focused on a couple areas such as clubs and trade retailers. We have an opportunity to leverage our strengths among mass customers and convenience stores. TheStreet: How would you respond to those who say this is a big price to pay for a snacks brand? Buck: We're very focused on how we create shareholder value. As we looked at this asset and the opportunity we think it creates strategically and financially, we think it's compelling on both fronts. TheStreet: Does this deal mean Hershey is done acquiring brands for the next year or two? Buck: We have a very strong balance sheet and we have continued to focus on our vision of being a snacking powerhouse through driving our core business and also through expanding across snacking. Organic growth and M&A growth will play key roles in our business going forward. We feel good about continuing to drive against both areas.